In John Maclean’s new film Slow West, the protagonist, a 16-year-old Scottish boy named Jay Cavendish, played by Kodi Smit-McPhee, is traversing America in search of his lost love, Rose Ross, and her father. When we eventually see Rose and her father in their new life, we find some well-executed tropes of the Western in play: a young woman who’s become an equal partner in the household; a gleaming home on the frontier; a Native American helping the pair. We also find something we don’t expect to see out in the American West, repairing a fence and wearing a wide-brimmed hat. We find the Hound. The young woman’s father is played by Rory McCann, a Scottish actor best known for playing Game of Thrones’s Sandor Clegane, a.k.a. the Hound, the deranged warrior with a gnarly burn wound who functions as Arya’s riding buddy for the better part of a season. McCann’s character in Slow West has none of the Hound’s defining qualities — facial disfigurement, bad attitude, one hell of a downward swing — and yet it’s still difficult when he first appears onscreen to not immediately think of Clegane in Westeros, and to then not let that moment take you out of Slow West for a second. Because McCann is a good actor, flexible and understated, and because his role in Slow West is a minor one, this discombobulation doesn’t last long. But it is an interesting sensation. Few shows are as engaging and transformative as Game of Thrones, which presents to the viewer a fully realized world spun from varied cloth. And part of the effect of that completeness is that its cast has become a part of that world — at one with their characters in a way that goes beyond the typical relationship of role and actor. Is that a bad thing? No. Does it make for a little weirdness? Sure does. Of course, the idea of actors becoming tied to one role is nothing new, on TV or in film. The list of men and women who could never overcome the success of their first big part, or the character who made them more than another working performer, is long enough that even bothering to explore it seems pointless. But what’s less common is the show or film that has this effect on its entire cast, like Game of Thrones. Considering how much it differs from GoT, Seinfeld is a funny first name to come to mind when thinking through this phenomenon. 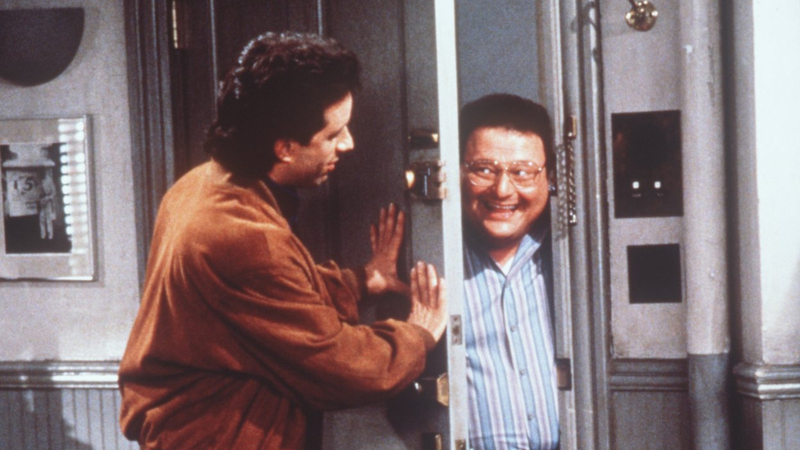 But it might be the best example: Seinfeld was so transcendentally successful, so immersive in its bizarre and just-left-of-center way, that it made its primary cast identical with the characters they played. Julia Louis-Dreyfus would overcome those bindings, and is currently doing so every Sunday night on Veep; Jason Alexander, Michael Richards, and Jerry Seinfeld, along with lesser characters played by folks like Wayne Knight and John O’Hurley, would not. Other examples of these series include Lost and Friends, shows so popular and mainstream that, for most of the viewing public, it would become hard not to identify their actors as their characters — they knew them that way so often, and for so long, that the relationship to those roles becomes as significant as the relationship to the people playing them, if not more so. But the phenomenon with Game of Thrones is not the same. The shows I just mentioned tend to feature realistic characters in a realistic world. It becomes very easy for the actor to blend in with the character, because in many cases it isn’t clear where the boundaries between the two would be anyway. With Game of Thrones, the opposite is true. The characters couldn’t be more different from what we presume the actors are like in real life, and they exist in a universe that seems to lie parallel, if not perpendicular, to ours. The actors are transfigured into their roles, and seeing them on the other side of that looking glass can be a shock: Unfurred and unrobed, swordless and not completely miserable, they appear to be missing something essential in our recognition of them. This means that encountering a Game of Thrones character in the wild can be a thrill, like seeing some kind of weird rare bear. Because the cast features so many serious actors with filmographies that extend far beyond the show itself — Charles Dance comes to mind, as does Sean Bean and Jonathan Pryce — some of the characters maintain the usual relationship of thespian to role. But with the performers we know only from the show, seeing them in another part can have a radical effect. The menace of Game of Thrones begins to seep into this other story; you expect an arrow to come out of nowhere and pierce somebody’s throat. 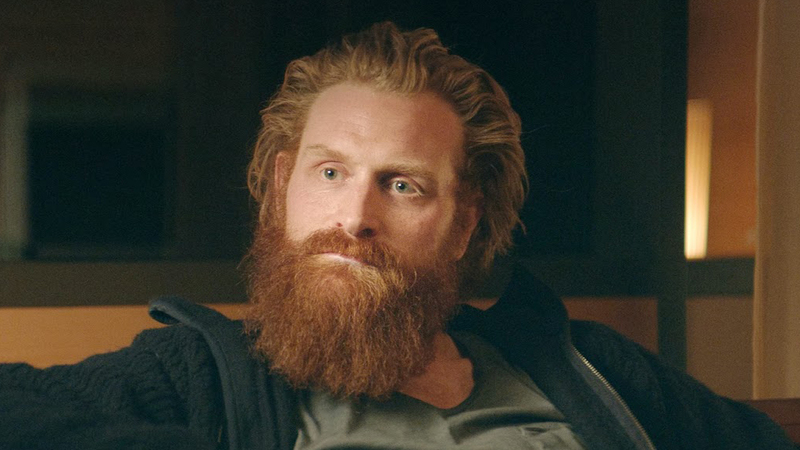 In last year’s hilarious and brutal Force Majeure, one of the main character’s friends is played by Kristofer Hivju, a.k.a. Tormund Giantsbane. When he shows up and must play counsel to the quarreling couple at the center of the film, his quiet assurance feels like a put-on, a cloak he’s wearing until he can be giants-baney once again. In Maclean’s Pitch Black Heist, a short he made prior to Slow West, Davos, real name Liam Cunningham, shows off some of the Onion Knight’s charisma even as he gripes and groans in Michael Fassbender’s direction. And seeing Natalie Dormer in Captain America for all of 30 seconds, you’re kind of like, “No, no, this is the main character, this is the coolest person,” even though pretty much all she does is make out with Chris Evans behind a bookshelf. And these are the normal ones. Nikolaj Coster-Waldau as the rom-com piñata in The Other Woman reads like really blasted fan fiction. Lena Headey in Purge One: The Purgening definitely makes you wonder about Ethan Hawke guesting as, like, a roguish Braavosi. And it even has a retroactive effect: Post-Thrones, it’s much harder to watch Cunningham as the priest in Hunger, or Stephen Dillane as the national security adviser in Zero Dark Thirty — two great pieces of acting! — and not think of the two of them mean-mugging in enormous fur coats. It also isn’t contained to fictions. Even though they seem to be almost unanimously charming, GoT actors should simply not be allowed to guest on late-night shows. It’s just too peculiar: watching Headey pour wine for Jimmy Kimmel and look like she just finished mainlining Benchmark at a Yeah Yeah Yeahs show, or Coster-Waldau dissolve into hysterics as Zach Woods and Conan and Andy Richter shout over him, or Kit Harington showing an actual sense of humor to Seth Meyers — I mean, it’s all great! But it’s also medically dangerous to the viewer; it sends me, at least, into tailspins of veracity. I have no idea what’s real anymore. Are dragons? ARE THEY? All of this is very unfair: McCann, Hivju, Cunningham, Dormer, and the other 9 million Game of Thrones actors should be judged purely on the work they do in each role, not according to some great ongoing legacy that follows them from their HBO work. But that’s the power of GoT: Once you enter that world, it’s hard to fully leave it. That’s true for viewers, and it’s certainly true for the people who bring that world to life. Kevin Lincoln (@KTLincoln) is a freelance writer living in Los Angeles.